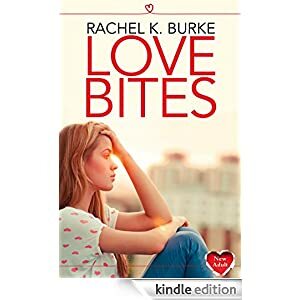 Well, I adored Sound Bites, and was hoping for something similar – but it’s a very different read. It’s not got the angst and drama usually found in NA reads, but is more the story of Justine growing up as an adult and finding herself. Its told in alternating parts from her past, when she first meets David, her best friend’s boyfriend, and the present. I found that a bit frustrating at times, as I’d just get into a section and then it would change time. I was expecting more of when she met David, and their time together, but in fact we see their first meeting, the weekend when they finally give in, and then nothing more except that they’ve split and she’s heartbroken. What I really liked was the way she learned about herself and how she’s acting, and whether that makes her attract unsuitable men or is it just a co-incidence. I enjoyed seeing her friends, and learning how she repaired her friendship with Renée eventually. I felt for her at times, things just seemed to happen on the boyfriend front, and after all who can predict how a relationship will work out, if a man really isn’t married, or has a girlfriend if he doesn’t say. Its not the kind of first meeting question usually! I did have a hard time when she says she’s had 14 past relationships and been in love with them all – she’s only in her twenties, and to me love isn’t something you fall in and out of like a revolving door, but a far deeper emotion…Still, I was happy at how she finally learned to look at herself, learn from her mistakes and find her way to a happier and more satisfying life. I missed the intense drama I was expecting though, so although this is a perfectly well written book and I’m sure with have lots of devotees, for me its just a three star. I needed more in the romance line, more drama and satisfying though it was seeing her mature it wasn’t really what I want in a novel. Stars: Three, interesting but ultimately not what I’d reread.